Due to DOT shipping restrictions this item cannot ship via air services, or to addresses outside the Continental United States.Specially formulated to enable the experienced as well as the novice to do a professional job. 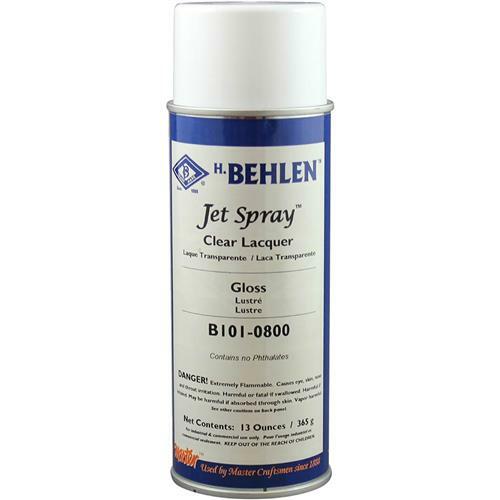 Two or three coats of the desired sheen will develop a durable, alcohol resistant lacquer finish. This product is economical, easily applied and dries quickly. 13 fl. oz. Specially formulated to enable the experienced as well as the novice to do a professional job. 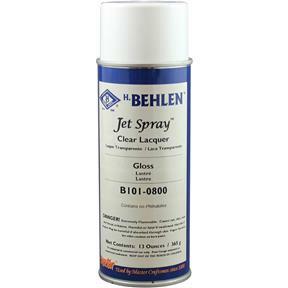 Two or three coats of the desired sheen will develop a durable, alcohol resistant lacquer finish. This product is economical, easily applied and dries quickly. 13 fl. oz. THE PACKAGING WAS A BIT OVER DONE. THEY WRAPPED THE INDIVIDUAL CANS WITH CLEAR PAKING TAPE AROUND THE CAP AND HALF WAY DOWN THE CAN. UNWRAPPING CAUSED ALL OF THE PRINTING ON THE CAN TO BE TORN OFF INCLUDING ANY AND ALL SAFETY PRECAUTIONS.